The Roadway Safety Institute’s 2015 Seminar Series kicked off September 10 with a presentation by Brad Estochen, state traffic safety engineer at the Minnesota Department of Transportation (MnDOT). Estochen discussed implementing a statewide highway safety plan aimed at engaging both professional stakeholders and the community. The weekly seminar series highlights the safety-related work of Institute researchers and other industry experts. Seminars are held Thursdays throughout the fall at 3 p.m. Central in the Mechanical Engineering Building on the U of M east bank campus. They are also broadcast live on the web. Estochen’s presentation focused on the Minnesota Strategic Highway Safety Plan (SHSP), a comprehensive framework that combines both data and human input to tackle factors related to reducing fatal and serious injury crashes in the state. 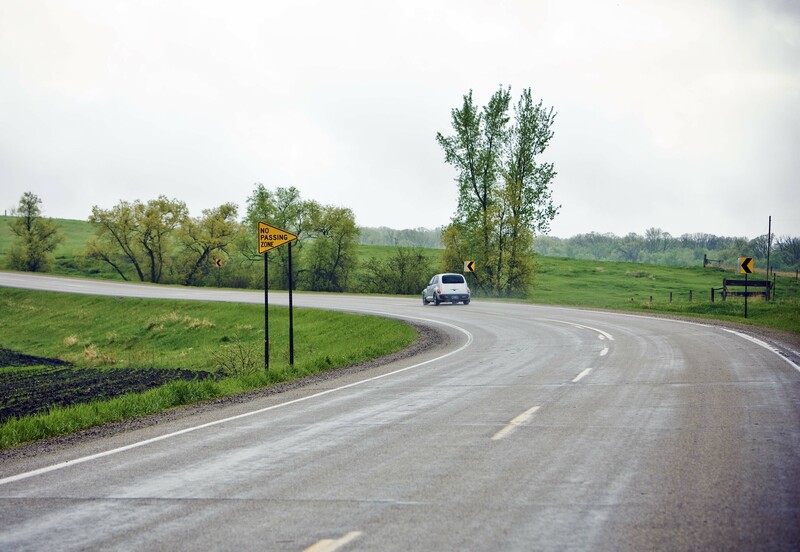 The SHSP was first developed in 2005, when MnDOT began focusing on the goal of reducing statewide roadway deaths to fewer than one person per 100 million vehicle miles traveled. Last year, the fatality rate nationally was 1.1 deaths per 100 million miles, while in Minnesota the rate was 0.63 deaths per 100 million miles. To gain a comprehensive understanding of the state’s fatal and serious injury crash factors, Estochen said his team combined real-life crash data with input from professionals in engineering, law enforcement, emergency medical services, as well as everyday road users. The results showed that most crashes in the state involve multiple factors—such as road conditions, driver impairment, and driver age. Estochen said that this approach of analyzing data and gaining stakeholder perspectives has provided new insights into the dynamic causes of fatal and serious injury crashes. Overall, Estochen said one of the best ways to reduce crashes in the state is to promote a culture of traffic safety—something he hopes the SHSP contributes to.